But now something has gone catastrophically wrong. On a primitive colony planet a renegade criminal's chance encounter with an utterly alien entity unleashes the most primal of all our fears. 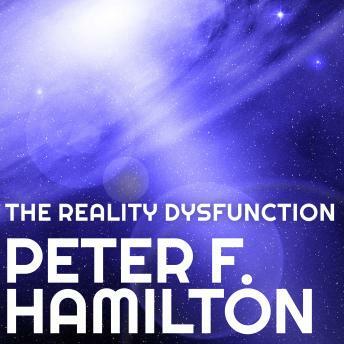 An extinct race which inhabited the galaxy aeons ago called it the 'Reality Dysfunction.' It is the nightmare which has prowled beside us since the beginning of history. honestly, I couldn't even get through chapter 1 because I can't stand the narrator's voice. I couldn't listen to it. There's no emotion, just an annoying, monotone voice. Maybe it's just me, but it was awful.